The Ahrar Center for Detainee’s Studies and Human Rights reported that Israeli soldiers kidnapped 1227 Palestinians, including children, women, elderly, intellectuals and legislators, since the beginning of this year, shot and killed 16 more Palestinians. The center said that the number of Palestinians kidnapped so far this year is less than the number of Palestinians kidnapped in the same timeframe least year as the army kidnapped 1340 Palestinians. 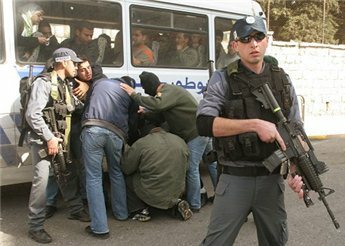 The center stated that the Hebron district, in the southern part of the West Bank, witnessed the largest number of arrests as the army kidnapped 310 (%25) Palestinians this year, following by Jerusalem where the army kidnapped 243 (%20) Palestinians. 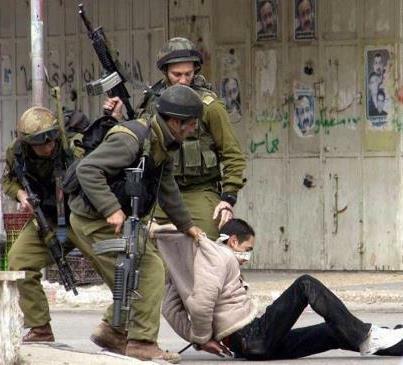 In the Nablus district, in the northern part of the occupied West Bank, the army kidnapped 160 (%13) Palestinians. Ahrar reported that the army also kidnapped four elected legislators in the West Bank, and added that the current number of imprisoned legislators and ministers arrived to 16. Soldiers also kidnapped several intellectuals, and political leaders. Furthermore, soldiers killed 16 Palestinians since the beginning of this year, including 12 who were killed in the West Bank, and four in the Gaza Strip. One of the slain Palestinians is Arafat Jaradat, from the southern West Bank city of Hebron, who was kidnapped by the army and was tortured to death at an Israeli interrogation facility, while detainee Maisara Abu Hamdiyya, 64, from Hebron, died at an Israeli prison due to an advanced stage of cancer, resulting from the lack of medical treatment in Israeli prisons. It is worth mentioning that in April, the army killed four Palestinians and kidnapped 259 others; 94 of the kidnapped are from the Hebron district, 42 from Jerusalem, 25 in Jenin, 24 in Bethlehem, and the rest were kidnapped in other areas of occupied Palestine. In its Weekly Report On Israeli Human Rights Violations in the Occupied Palestinian Territories for the week of 25 April- 01 May 2013, the Palestinian Cdenter for Human Rights (PCHR) found that Israeli forces extra-judicially executed a member of a Salafi-Jihadist group in the Gaza Strip. In addition, Israeli forces have continued to open fire in the border areas in the Gaza Strip. 1 child was wounded in the northern Gaza Strip. Israeli forces wounded 4 civilians, including 1 child, while offering protection to Israeli settlers as they carried out attacks. Israeli forces have continued to use excessive force against peaceful protesters in the West Bank. 3 protesters were wounded during peaceful protests against the annexation wall and settlement activities. During the reporting period, Israeli forces conducted at least 63 military incursions into Palestinian communities in the West Bank. During these incursions, Israeli forces abducted at least 32 Palestinians, including 7 children and 2 lecturers at al-Najah National University in Nablus. Israeli forces established dozens of checkpoints in the West Bank. 8 Palestinian civilians, including 2 children, were abducted at checkpoints. Israeli forces have continued activities aimed at creating a Jewish majority in occupied East Jerusalem. On Monday, 29 April 2013, Israeli forces bulldozed two housing apartments in al-Tour village, in occupied East Jerusalem. According to data acquired by PCHR, at approximately 06:30, Israeli forces, including special forces units, accompanied by two bulldozers, officers of the Israeli Municipality in Jerusalem, and officers of the Israel Nature and Parks Authority, moved into Khelat al-'Ayn neighbourhood in occupied East Jerusalem. Israeli forces cordoned off the neighbourhood, surrounded the houses of a Palestinian man and his sister, and banned other civilians and journalists from accessing the area. Israeli forces forced the families to evacuate their homes and then demolished the buildings. One of the demolished buildings was an apartment building of 160 square metres, occupied by 13 individuals, including an elderly woman who is suffering from cancer, and belonging to a Palestinian who also suffers from cancer. The second apartment building was 80 square metres, and occupied by 11 individuals, including 5 children. 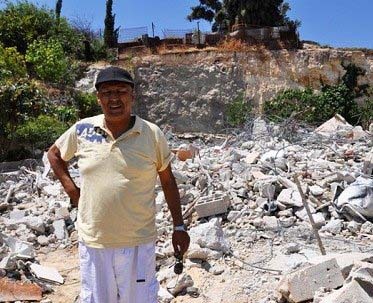 On Tuesday, 30 April 2013, Israeli forces bulldozed an extensions to a house belonging to Tawfiq Mohammed Abu-Snaina (60), under the pretext that Abu-Snaina had not obtained a building permit prior to building the extension. The extension consisted of two unused storeys, the 60 square-metre roof of which was used as a balcony for Abu-Snaina's house. On 30 April 2013, Israeli forces wounded 4 Palestinian civilians, including 1 child, while offering protection to Israeli settlers as they carried out attacks in Nablus following the killing of a settler that morning at Za'tara checkpoint, south of Nablus. 3 were wounded in 'Ourif village, south of Nablus, while the fourth was wounded in Asira village, south of the city. During the reporting period, Israeli forces killed a Palestinian civilian and wounded 2 others in the Gaza Strip. They also wounded 7 civilians in the Gaza Strip. In the Gaza Strip, on 30 April 2013, Israeli forces extra-judicially killed a Palestinian member of the Salafi-Jihadist movement when an attack was launched from an Israeli drone as he was on his motorbike in front of Bader military site, northwest of Gaza City. As a result, he died immediately. The deceased was a security officer at Shifa hospital in Gaza City. Israeli forces admitted carrying out the attack; representatives of the Israeli forces stated that they had executed a senior official in the Gaza Strip who had carried out many operations involving the launching of rockets, and who had been planning to launch rockets on Eilat from Egypt. It should be noted that this is the first extrajudicial killing following the cease-fire agreement that was reached on 21 November 2012, following the latest Israeli offensive on the Gaza Strip. On 28 April 2013, a Palestinian child was wounded when Israeli forces stationed along the border fence opened fire at a group of boys near al-Shuhada' cemetery, east of Jabalia refugee camp, in the north of the Gaza Strip. On 01 May 2013, a Palestinian fisherman sustained serious wounds when Israeli gunboats stationed off Rafah shore, in the south of the Gaza Strip, opened fire on Palestinian fishing boats that were sailing within the limit of 3 nautical miles. Israeli forces continued their attacks on Palestinian fishermen. On 27 April 2013, Israeli gunboats stationed off the shore of the central Gaza Strip opened fire on Palestinian fishing boats that were sailing within 2 nautical miles of the shore, within the 2 nautical mile limit. On 27 and 28 April 2013, similar attacks occurred off the shore of Khan Yunis, in the south of the Gaza Strip. On 30 April and 01 May 2013, Israeli gunboats stationed off the shore of Deir al-Balah opened fire at Palestinian fishing boats at sea. On 28 April, an Israeli warplane launched a missile at a plot of open land, north of Asdaa' media centre, in the northwest of Khan Yunis. No casualties were reported. On the same day, Israeli warplanes launched a missile at a military training site belonging to the National Resistance Brigades (the armed wing of the Democratic Front), northwest of Rafah, in the south of the Gaza Strip. No casualties were reported. Israel has continued to impose a total closure on the Occupied Palestinian Territories and has isolated the Gaza Strip from the outside world. Israeli forces closed the border crossing between the Gaza Strip and Israel for 3 days. On Thursday, 25 April 2013, a military vehicle, accompanied by a vehicle of the Israeli Civil Administration, moved into Qwaiwees, in the southeast of Yatta, in the south of Hebron. The Civil Administration officer handed notices to a number of Palestinian civilians, ordering them to halt construction work that included the construction of two rooms and two tents. On Monday, 29 April 2013, Israeli forces bulldozed a water well of 50 cubic metres and an agricultural shed of 10 square metres, belonging to a Palestinian farmer, on agricultural lands adjacent to al-Fawwar refugee camp, in the south of Hebron. Also on Monday, Israeli forces placed two notices on the lands of two farmers in Khelat al-Nahla area, between Bethlehem and its southern countryside. The notices ordered that the 20-dunum land be evacuated and that all olive seedlings be uprooted. The notices gave the farmers a period of 45 days to challenge the orders in court. Also on Monday, Israeli forces demolished an agricultural shed of 60 square metres, belonging to a 45-year old man from al-Neis valley village, in the southwest of Bethlehem. The room was used for storing farm tools. Israeli forces continued the systematic use of excessive force against peaceful protests organised by Palestinian, Israeli, and international activists against the construction of the annexation wall and settlement activities in the West Bank. As a result, 3 Palestinian civilians were wounded. One was wounded during the Ni'lin weekly protest, west of Ramallah, while 2 others were wounded during the Kofur Qaddoum weekly protest, northeast of Qalqilia. Palestinian civilians organised many peaceful protests in solidarity with Palestinian prisoners detained in Israeli jails, especially those on hunger strike. Israeli forces used excessive force against the protestors; as a result, many civilians suffered from tear gas inhalation while others sustained bruises. Due to the number and severity of Israeli human rights violations this week, the PCHR made several recommendations to the international community. Among these were a recommendation that, in light of continued arbitrary measures, land confiscation and settlement activities in the West Bank, and the continued aggression against civilians in the Gaza Strip, especially the latest offensive that lasted for 8 days in November, PCHR calls upon the international community, especially the United Nations, the High Contracting Parties to the Geneva Convention and the European Union – in the context of their natural obligation to respect and enforce the international law – to cooperate and to use all available means to allow the Palestinian people to enjoy their right to self-determination, through the establishment of the Palestinian State, which was recognized by the UN General Assembly with a vast majority, using all international legal mechanisms, including sanctions to end the occupation of the State of Palestine. Ahrar Center for Prisoners Studies and Human Rights revealed in its monthly report on Israeli Human Rights Violations in the Occupied Palestinian Territories that there were 259 abducted cases and four martyrs across West Bank and Gaza strip during April 2013. 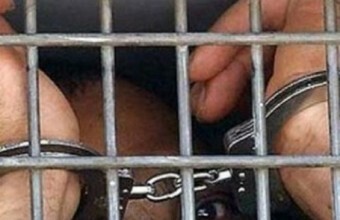 In April the highest numbers of detainees were from Hebron. According to Ahrar Center there were (94) detention cases in Hebron. (42) Detention cases in Jerusalem, (22) in Nablus, (24) in Bethlehem, (18) in Qalqilya, (20) in Ramallah, (25) in Jenin, (4) in Tubas, (4) in Salfeet, (6) in Tulkarem including Reyad Naasar who was shot by the occupation forces before his arrest. 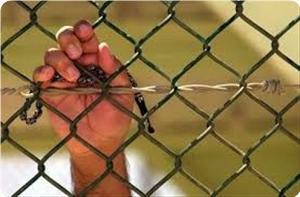 In Gaza strip, the occupation soldiers detained near the Gaza strip's borders, Mohammad Khalid Abu Owili, 23. The center monitored that there were (10) cases were abducted at the checkpoints and two cases at Al-Karamah crossing between Jordan and Palestine including Atta Ayyash, 61, the martyr Yahya Ayyash's uncle, who was on his return to Jordan after two days visit to his family in Rafat village northern West Bank. In addition to Ahmad Khalid, the brother of the writer prisoner Walid Khalid. During April, there were four martyrs including martyr prisoner Maysarah Abu Hamdieh, 64, who was suffering from throat cancer, and died due to medical negligence. In addition to two martyrs, Naji Balbisi, 19, and Amer Nassar, 17, who have been shot dead by the Israeli forces in Tulkarem. In Gaza strip, Haitham al-Mishal, 25, was killed when an Israeli warplanes fired at his motorcycle. Israeli occupation forces (IOF) rounded up 107 Palestinians in the West Bank over the past week, a report by Hamas movement said on Monday. The report documented the arrest of 39 Palestinians in Al-Khalil province, the biggest among all provinces, while Jerusalem came second with 17 individuals. It said that 13 were nabbed in Ramallah, 10 in each of Nablus and Bethlehem, 9 in Jenin, 6 in Tulkarem, 2 in Qalqilia, and 1 in Salfit. The report monitored the arrest of a number of Najah university students and 12 ex-detainees in PA jails. In its Weekly Report on Israeli Human Rights Violations in the Occupied Palestinian Territories for the week of 18- 24 April 2013, the Palestinian Center for Human Rights (PCHR) found that a Palestinian civilian was wounded during an Israeli incursion, and a child was wounded near the annexation wall in the West Bank. In addition, 6 protesters, and an elderly woman, were wounded during peaceful protests against the annexation wall, settlement activities and imprisonment of Palestinians. During the past week, Israeli forces conducted at least 98 military incursions into Palestinian communities in the West Bank. During these incursions, Israeli forces abducted at least 52 Palestinians, including 6 children and a number of political leaders and members of Hamas movement. During the reporting period, Israeli forces wounded 8 Palestinian civilians, including 4 children and a 70-year-old elderly woman, in the West Bank. Three of whom, including the elderly woman, were wounded during peaceful protests in Selwad village, northeast of Ramallah, protesting against the confiscation of lands for the interest of settlement activities. Moreover, three children were wounded; one of whom was abducted, during a protest organized by dozens of children at the southern entrance of al-Jalazoun refugee camp, north of Ramallah to support the Palestinian prisoners in the Israeli jails. A Palestinian civilian was wounded when the Israeli forces moved into the above-mentioned refugee camp and opened fire at a group of boys and young men. Further, a child was wounded near the annexation wall in Jalaboun village in Jenin. In the West Bank during incursions conducted by the Israeli forces a Palestinian civilian from al-Jalazoun refugee camp, north of Ramallah, was wounded on 18 April 2013. On 24 April 2013, a Palestinian child was wounded when Israeli forces patrolled at the annexation wall in Jalaboun village, northeast of Jenin, opening fire on 2 children under the pretext that they attempted to cross the security fence. As a result, one of them was wounded while the other was abducted. Israeli forces established dozens of checkpoints in the West Bank. 7 Palestinian civilians, including 4 children, were abducted at checkpoints. 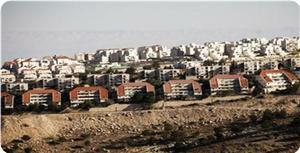 Israeli forces have continued activities to create Jewish majority in occupied East Jerusalem. 7 residential apartments and 2 commercial stores were demolished. On Thursday, 18 April 2013, Israeli forces raided al-Khader village, in the south of Bethlehem bulldozed two agricultural sheds under pretext of not obtaining a permit and building near the settlements. The destroyed sheds are located near "Daniel" and "Eliezer" settlement in the south of the village, and were established over 60 years ago, and were used as storage rooms for agricultural equipment. On Saturday, 20 April 2013, Israeli forces, accompanied by a vehicle of the Israeli Civil Administration, raided 'Attous area, west of Beit Oula village, in the west of Hebron. An officer of the Civil Administration placed 7 evacuation notices in a number of lands that are adjacent to the wall, that included the confiscation of approximately 600 dunums of agricultural and grazing lands. On Monday, 22 April 2013, Israeli forces, accompanied by military vehicles and a bulldozer, uprooted 150 olive trees in al-Marhan area, in the east of Beit Dujn village, in the east of Nablus. These trees were between aged 1 and 1 and a half year; this is the 5th time that Israeli forces have uprooted trees from the same plot of land within the past years, under pretext that it is a closed area for military reasons. 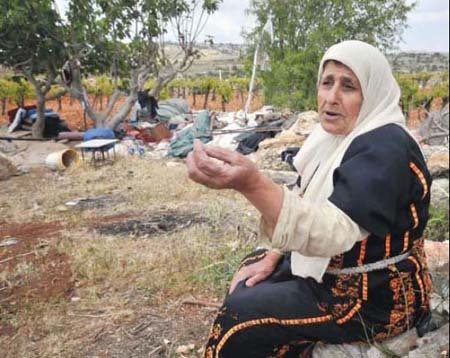 On Tuesday, 23 April 2013, Israeli forces bulldozed 11 tents used as residences and cattle barns, in al-Maleh valley area and the neighbouring Yarza village, in the Northern Valleys, in the northeast of Tubas. As a result, 30 civilians became homeless, including 20 children. Also on Tuesday, Israeli forces uprooted 650 olive trees aged between 1 – 4 years, in Um Nir area, southeast of Yatta, in the south of Hebron. They also bulldozed a tent. On the same day, Israeli forces destroyed a greenhouse of 420 square meters, and 5 meters in height, that was used to store harvest crops for exportation located in al-Shobasy area in Bardala village, east of Bypass Road No. 90, east of Tubas; its destroyed contents were: a large supply of cartons; 4 surveillance cameras; a computer; and a digital scale. On Wednesday, 24 April 2013, Israeli forces bulldozed an under-construction house, two agricultural rooms and an 80 meters high wall of reinforced concrete, in Khlat al-Bas area, southeast of al-'Aroub refugee camp, in the north of Hebron. On Wednesday, Israeli forces raided the western area of Ethna village, in the west of Hebron, and detained a number of construction workers while working on a water-well of 200 cubic meters, and banned them from continuing their work under pretext that this site has been given a notice to halt construction work, claiming that this area falls under Israeli security jurisdiction, according to the Oslo Accords. On Wednesday, Israeli forces placed a notice with orders to halt construction on a site designed for building a medical clinic in the centre of the village. They also photographed the site. On Wednesday, 24 April 2013, Israeli forces bulldozed 7 residential apartments and two shops in al-Tour village, in the occupied east Jerusalem. According to data acquired by PCHR, at approximately 08:00, Israeli forces, accompanied by two bulldozers and officers of the Israeli Municipality in Jerusalem, raided al-Hardoub neighbourhood in al-Tour village, in the occupied East Jerusalem. The bulldozers destroyed three apartments of 500 square meters, and 2 shops. The destroyed property belonged to Kayed Mohammed Abdallah Jaradat, and were destroyed under pretext of not obtaining a construction permit. In his statement, Jaradat said that his family occupies a house, adjacent to the bulldozed apartments, since 1997. He added that this is the third time that Israeli forces destroyed some of his property under pretext of not obtaining a construction permit, knowing that the family has been trying to obtain one for many years, but have been unsuccessful. Moreover, Jaradat said that the bulldozing made 40 members of his family homeless, 6 of them are disabled and 3 are blind. In a relative context, Israeli forces raided al-Jadeed Street (al-Sahl) in al-Tour village, to bulldoze an under-construction housing building, under pretext of not obtaining a permit. The owner of the bulldozed building, Khamini Mohammed Hamdan, said that Israeli forces cordoned his building at early morning hours, but were unable to carry out with the bulldozing because the street leading to it was too narrow for the bulldozers to pass through. Therefore, Israeli forces bulldozed a number of shops and residential apartments that belong to him in another part of the village, returned later on and bulldozed the building. He added that the building is of two stories, each of 270 square meters, and has 4 apartments; he started building with a partner, Ziad Abu-Esbitan, six months ago, but was surprised to receive a demolition notice at the time. He also pointed out that he had tried to obtain a permit to continue with the construction, but was unsuccessful. In the Gaza Strip, Israeli forces conducted 2 limited incursions into the Gaza Strip. Both incursions were conducted in the east of Beit Hanoun, north of the Gaza Strip on the 22nd and 24th of April 2013. They levelled lands, however, no casualties were reported. During the reporting period, Israeli forces stationed along the border fence, southeast of Deir al-Balah in the centre of the Gaza Strip, abducted 2 children, who attempted to cross the borders into Israel. On Saturday, 20 April 2013, a group of settlers from "Beit Ayin" settlement, established on Palestinian civilians' lands in the west of Beit Ummar village, in the north of Hebron, attacked Palestinian farmers while working in their lands in Abul-Reish valley area, adjacent to the afore-mentioned settlement. It should be noted that this attack is the third of its kind against farmers in Abul-Reish valley area within the month of April, as settlers have broken and uprooted a number of olive and almond trees belonging to Slaibi family. On Tuesday, 23 April 2013, a group of settlers from "Ofra" settlement, established on the lands of Silwad and 'Ayn Yabroud villages, in the northeast of Ramallah, raided Deir Jarir village, located approximately 2 kilometres to the northeast of the afore-mentioned settlement. The settlers then set fire to 10 Palestinian civilian vehicles in the village. In his testimony to a PCHR filedworker, 'Omran Mufadi 'Omran (80), from Deir Jarir village, said, "At approximately 02:00 on Tuesday, 23 April 2013, my family and I were asleep at home, located in the western area of the village. All of a sudden, we heard an explosion; I looked out the window, which overlooks the front lawn of the house, and I was shocked to see that my daughter's, Manal (40) car, a 2012 VW golf, was on fire and my son's, Wisam (35), a 1995 black Mazda. Immediately, my son, Wisam, my wife and I, we put out the fire in the two cars, but the back of the cars was totally burnt. Some of the neighbours came over and told us that the settlers had burnt 8 other vehicles in the village, and I learnt later, after Israeli forces and police arrived in the area, that one of the neighbours saw someone carrying a backpack and running towards "Ofra" settlement after setting the cars on fire. I also learnt that the surveillance cameras fixed on al-'Alwey Stores, located by the entrance of the village, had caught the same person on tape when he entered the village; I was told that the Israeli police confiscated the tape." Also on Wednesday, a group of settlers, under the protection of Israeli forces and military vehicles, raided Yousif Grave area, in the east of Nablus. The settlers stayed for a while, performed some Talmudic rituals and withdrew later, no incidents were reported. Palestinian civilians organised many peaceful protests in solidarity with Palestinian prisoners detained in Israeli jails, especially those on hunger strike. Israeli forces used excessive force against the protesters; as a result, 3 children were wounded at the southern entrance of al-Jalazoun refugee camp, north of Ramallah, on 19 April 2013. The Israeli forces abducted one of the wounded children after offering him the first aid he needed. In an example of the systematic use of excessive force against peaceful protests organised by Palestinian, Israeli, and international activists against the construction of the annexation wall and settlement activities in the West Bank, on 19 April 2013, 3 civilians, including an elderly woman, were wounded in Selwad village, northeast of Ramallah; 2 of the wounded were abducted and transported to an unknown destination. Palestinian civilians also organised peaceful demonstrations in solidarity with Palestinian prisoners in Israeli jails, particularly those on hunger strike. Israeli forces used excessive force against these demonstrations. As a result, 3 children sustained wounds; Israeli forces abducted one of them, transported him into "Beit El" settlement, where he received first aid and then he was taken to Hadassah hospital in Jerusalem. At noon on Friday, 19 April 2013, dozens of Palestinian youngsters and inhabitants of Silwad village gathered in the centre of Silwad village, in the northeast of Ramallah for a popular demonstration in protest to the settlers' continuous attacks against Palestinians in the area and the confiscation of lands for settlement activity. Afterwards, the participants headed towards "al-Fakarra" area, where the settlers are trying to confiscate lands, located near "Ofra" settlement. Israeli forces closed the eastern entrance to the village in the early morning; the protestors threw stones and empty bottles at the forces, who were stationed at the entrance of the village. Israeli forces responded with live ammunition, rubber-coated metal bullets, tear gas canisters and sound bombs, and chased the demonstrators into the village. As a result, 3 Palestinian civilians, including an elderly woman, sustained injuries; many civilians suffered from tear gas inhalation and others sustained bruises. Later on, Israeli forces raided a residential building and abducted 7 civilians, including two of the wounded; they were transported to an Israeli police station, in the southeast of Ramallah. Four of them were released at approximately 02:00 on Saturday; and they were identified as: 'Imad Abdul-Rahman Abu Zaina (28); Mohammed Mahmoud Ahmed Youssif (35); Ramez Abdul-Baset Hamed (26); and Rami Abdul-Rahman Hamed (26). Those who remained in detention were identified as: Hussam Youssif Abu-Zaina (30), sustained a bullet wound to the right arm; Usama Abdul-Aziz Mer'i (38), sustained a bullet wound to the abdomen; and Mohammed Jar-Allah Hamed (24). They were transported to "Ofer" prison, southwest of Ramallah. Additionally, 70-year-old Fatima Raya Hamed sustained a bullet wound to the chest. Following the Friday Prayer on 19 April 2013, dozens of Palestinian civilians and international and Israeli human rights defenders organised a peaceful demonstration in Bil'in village, west of Ramallah, in protest at the construction of the annexation wall and in solidarity with the prisoners on hunger strike inside Israeli jails. The demonstration commemorated the fourth anniversary of the death of Bassem Abu-Rahma, the 25th anniversary of Khalil al-Wazeer's (Abu-Jihad) death and the 39th anniversary of the Palestinian Prisoners' Day. The demonstrators marched through the streets of the village, chanting slogans calling for national unity, raised Palestinian flags and pictures of prisoners and made their way towards the lands adjacent to the annexation wall. Israeli forces had closed all entrances to the village since early morning to prevent Palestinians, journalists, and international activists from joining the protest. Israeli soldiers stationed in the area fired rubber-coated metal bullets, sound bombs, and tear gas canisters at the demonstrators. As a result, dozens of demonstrators suffered from tear gas inhalation and others sustained bruises. Also, following the Friday Prayer, dozens of Palestinian civilians and international and Israeli human rights defenders organised a peaceful demonstration in Ni’lin village, west of Ramallah, in protest at the construction of the annexation wall, settlement activities and in solidarity with the Palestinian prisoners on hunger strike inside Israeli jails, especially Samer al-'Issawi. The demonstrators moved towards the annexation wall; Israeli forces closed the wall gate with barbed wire, and when the demonstrators attempted to get to the lands behind it, they were stopped by Israeli soldiers. The demonstrators threw stones at the Israeli soldiers who in responded with rubber-coated metal bullets, sound bombs, tear gas canisters and chased them across fields of olive trees. Around the same time on Friday, dozens of Palestinian civilians, and Israeli and international human rights activists gathered in the Martyrs Square in Nabi Saleh village, northwest of Ramallah, to hold a weekly peaceful protest against the construction of the annexation wall and settlement activities. The demonstration was organized under the title: "Freedom is our children's right," in commemoration of Palestinian Child Day and in solidarity with Palestinian prisoners in Israeli jails. The protesters walked towards Palestinian lands that Israeli settlers from the nearby "Halmish" settlement are trying to seize. Israeli forces closed all entrances to the village in the morning to prevent Palestinians, international activists and journalists from joining the demonstration. Upon their arrival in the afore-mentioned area, Israeli soldiers fired live ammunition, rubber-coated bullets, sound bombs, and tear gas canisters, chased the demonstrators into the village and sprayed them with waste water. Moreover, Israeli soldiers, from the special guards unit, deliberately fired tear gas canisters at the journalists, pushed them and yelled at them in an effort to force them to leave the area. Two of these journalists were identified, Bilal Abdul-Salam Hassan Tamimi (47) and Nariman Mahmoud Tamimi (37), photojournalists for the Popular Committee against the Annexation Wall and Settlement Activity in Nabi Saleh and volunteers at B'Tselem - The Israeli Information Center for Human Rights in the Occupied Territories. Following Friday Prayer, dozens of inhabitants of al-Mas'ra village, south of Bethlehem, international and Israeli human rights activists, activists in the Popular Resistance Committees and the Volunteer Work Committee, and mothers of Palestinian prisoners gathered for the weekly peaceful demonstration against the construction of the annexation wall and settlement activity. As a result, dozens of demonstrators suffered from tear gas inhalation. The demonstrators organized a sit-in near the wall emphasizing the importance of popular and official solidarity with prisoners and the importance of organizing events for solidarity with them. Moreover, a number of them chained themselves symbolizing the suffering of Palestinian prisoners inside Israeli jails. At noon on Friday, 19 April 2013, dozens of Palestinian youth gathered at the southern entrance of al-Jazloun Refugee Camp, north of Ramallah, near the southeastern entrance of the camp, behind the UNRWA Camp School for Boys. The boys were 300 meters from the fence surrounding "Beit El" settlement. The boys threw stones at the settlement's fence; in response, the Israeli soldiers fired live ammunition, rubber-coated metal bullets, tear gas canister and sound bombs at them. As a result, 17-year-old Mustafa Suliman Mas'oud Samad'a sustained a bullet wound in the nose, he was abducted and transported him into "Beit El" settlement where he received first aid and then he was taken to Hadassah hospital in Jerusalem. Moreover, two other children sustained wounds; a 15-year-old was hit by a tear gas canister to the head and a 16-year-old sustained a bullet wound to the head. Around the same time, dozens of Palestinian youths gathered in the Um Rokba area, at the south-western entrance of al-Khader village, south of Bethlehem. The demonstrators threw stones at Israeli forces stationed in the area. Immediately, Israeli forces fired tear gas canisters and sound bombs at the demonstrators. As a result, a number of civilians suffered from tear gas inhalation. The PCHR calls upon the UN General Assembly to transfer the Goldstone Report to the UN Security Council in order to refer it to the International Criminal Court in accordance with Article 13(b) of the Rome Statute. Two human rights organizations in 1948-occupied territories accused the Israeli Occupation Authorities (IOA) of besieging Palestinians in occupied Jerusalem in 7.8 % of the city’s area. Citizen's Rights and Bimkom Israeli organization have appealed against the Israeli "structural map, Jerusalem 2000" as an illegal map, stressing that the map aims to besiege Jerusalemites in an area of 7.8% of the city. The Israeli authorities refused any new building projects under the pretext of non-compliance with the structural map, although it has no legal validity, the organizations confirmed. They emphasized that the map negatively affected Palestinians in East Jerusalem, where they were besieged in 7.8 % of Jerusalem. The Palestinian presence in Jerusalem constitutes 39% of the total population in the city, however the Palestinian neighborhoods' area does not exceed 14% of ​​East Jerusalem and 7.8% of the city, the human rights organizations stated, stressing that the Israeli structural map threatens the Jerusalemite demographic growth. 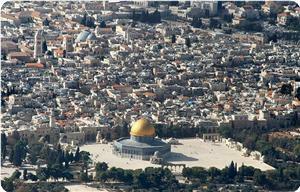 The appeal pointed out that the "structural map" aims to reduce the Palestinian residential areas in East Jerusalem. A public opinion survey has revealed that 80 percent of the Israelis support the settlement expansion in the occupied Palestinian territories in the West Bank. The Israeli newspaper the Times said on Monday that a survey conducted by Ariel university showed that the vast majority of Israeli settlers support any Israeli move to expand or annex all settlements in the West Bank with or without an agreement with the Palestinians in Ramallah. Despite the difference in their views about how their government should expand or annex settlements, the majority are in favor of Israel's settlement activities in the West Bank. According to the results of the poll, 35 percent of the Israeli settlers support the annexation of the whole West Bank, 24 percent supports the idea of annexing only the settlement blocs, and 20 percent supports that any type of annexation should be part of an agreement with the Palestinian authority. A Palestinian official report said that Israel was holding 30 prisoners of different Arab nationalities in its prisons for resisting occupation. The statistics department in Ramallah issued a statement on Monday on the occasion of the Palestinian prisoner’s day, which falls on 22nd April. The statement noted that the date was chosen for being the day when Lebanese prisoner, Samir Quntar, and the former oldest serving Arab prisoner in Israeli jail was arrested in 1979. Quntar was released in July 1978 in the prisoners’ exchange deal with Lebanese Hizbullah party. It pointed out that most of those Arab prisoners are from Jordan, adding that hundreds of Arabs went missing in Israel and their fate is not known, whether dead and buried in the cemetery of numbers or held in the secret 1391 jail. The statement said that many prisoners died in captivity including one from each of Egypt, Iraq, and Syria and many others.